One major name in baby supplies and toys is Safety 1st. Is it any wonder that they also have mattresses? Are they as high quality as the rest of their product line? 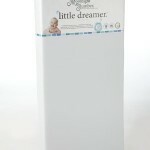 To find out read our, Safety 1st Heavenly Dreams Baby Crib Mattress Review . 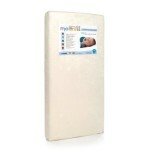 This crib mattress is hypoallergenic to keep your baby safe. 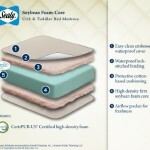 It will not collect odors or dust mites the way that some mattresses may. 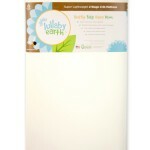 It has a high density thermo-bonded core to ensure a firm sleeping service for your baby. This is a very important feature of any crib mattress due to the risk associated with SIDS and having a baby suffocate if they sink too far into the mattress. It is built to be durable so that your child can use it from birth through toddlerhood. It easily transfers to a toddler bed and gives them the support necessary for their growing body. 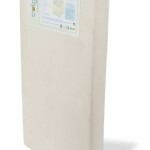 This crib mattress is 5.5 inches thick, which also provides optimal support for growing children. Most mattresses are only 5 inches, so if you need something a little thicker, this may be the perfect mattress for your baby’s crib or toddler bed. 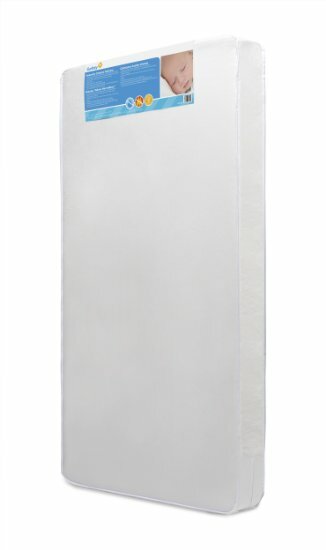 The Safety 1st Heavenly Dreams white crib mattress is vinyl laminated with polypropylene. This causes concern for some parents, but it is safe and ensures that you have a mattress that can be wiped down so that it remains germ free. That is why it has earned the GreenGuard Gold Certification for air quality and safety for babies. This mattress is also very lightweight. The shipping weight on it is only 6.8 pounds, which makes it, without a doubt, one of the lightest crib mattresses available. This means that as your child changes and grows, or you have to make up their bed, change their room around, the mattress will be easier to move around than your newborn. This mattress is very lightweight mattress. You will never have to struggle with it, even while changing sheets in the crib. 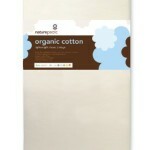 It is hypoallergenic to protect your baby from dust and germs. 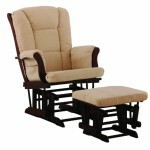 It provides a firm sleeping area for your newborn and a comfortable bed for toddlers as well. 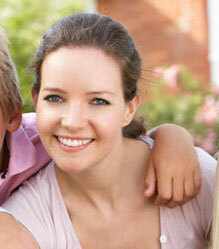 It is created by Safety 1st, which is a trustworthy manufacturer of safe baby products and toys. Some people do have issues with the vinyl/polypropylene cover. This may have a plastic sound to it and some people do say that it has an odor. There are some who say that it fits too tightly in the crib so that it is hard to make up. Is The Heavenly Dream Crib Bed A Good Investment?